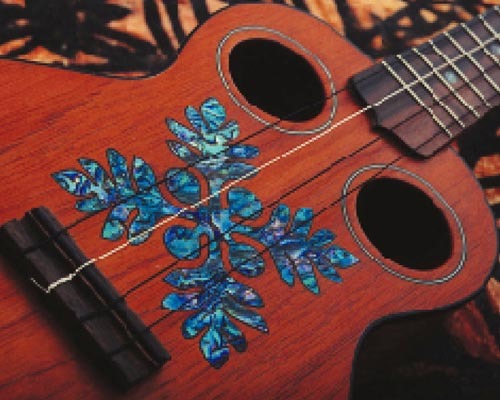 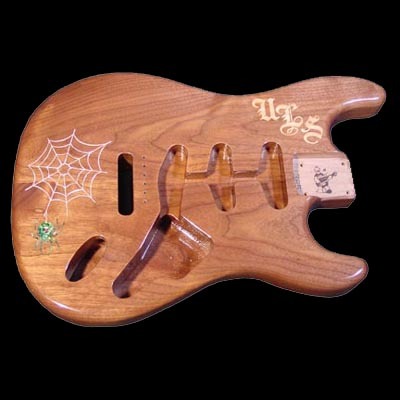 Fine abalone, mother of pearl, and other shell accents have graced guitar fretboards and sound holes for many years, and pearlized drum sets are nothing new. 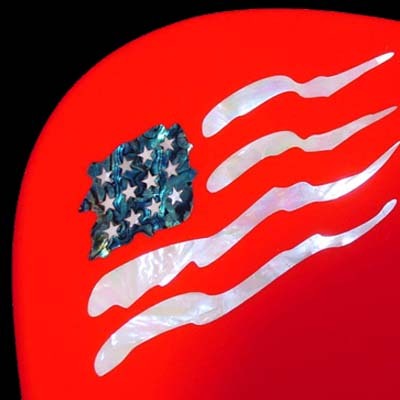 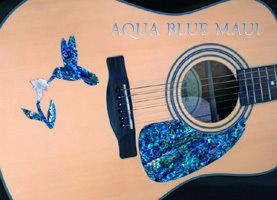 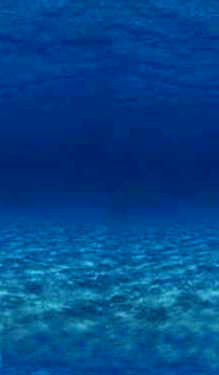 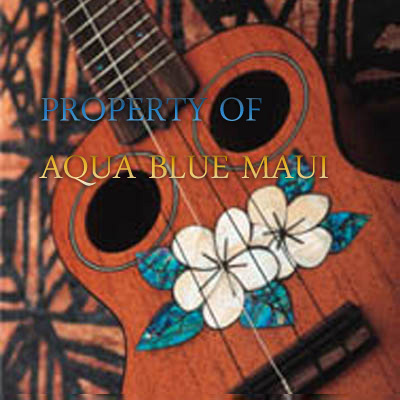 However, Aqua Blue Maui's award winning Thin Lam panels make more ambitious projects possible, with outrageous results. 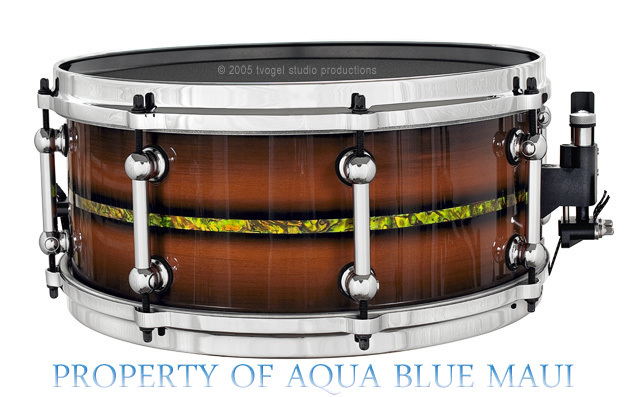 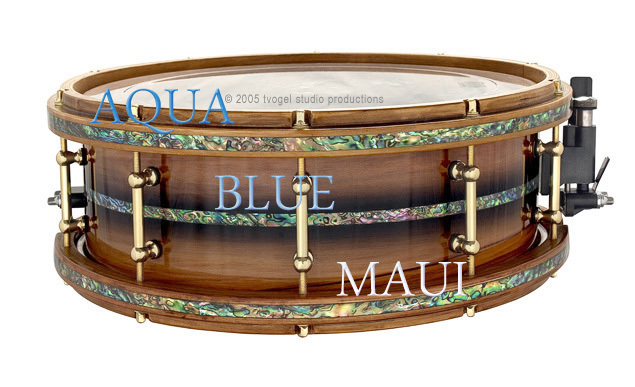 Try using our beautiful tinted Thin Lam veneers to create custom drum sets....the beauty of the abalone shell veneer, combined with the ease of application and excellent acoustic qualities of our Thin Lam has made building complete abalone shell drum sets possible, desirable and competitive! 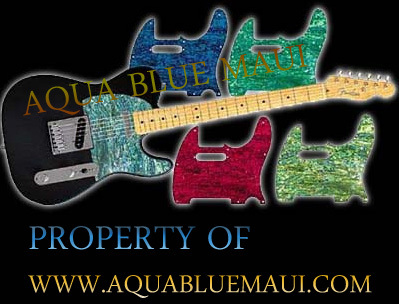 In the music business, sounding good is important, but looking good also matters! Put your musical best foot forward, and try our easy to use Thin Lam veneers for all kinds of musical projects - the results will please and astound you!